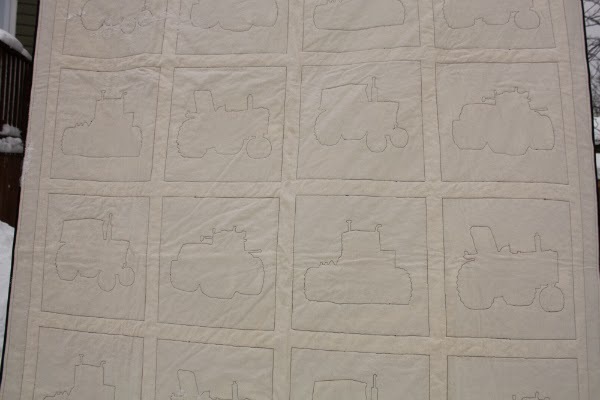 Devoted Quilter: A Finished Tractor Quilt! 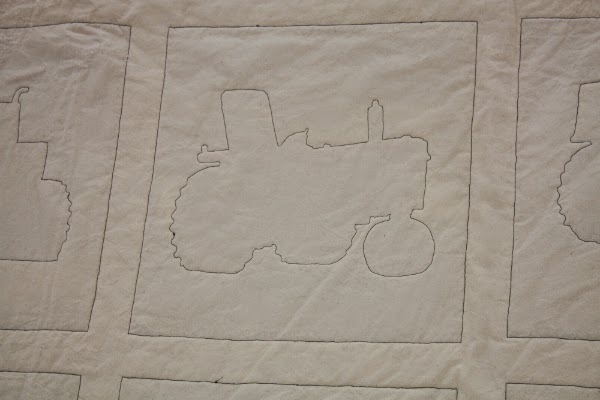 I bet you have made one little boy very happy Leanne, I love the tractor outline quilting. 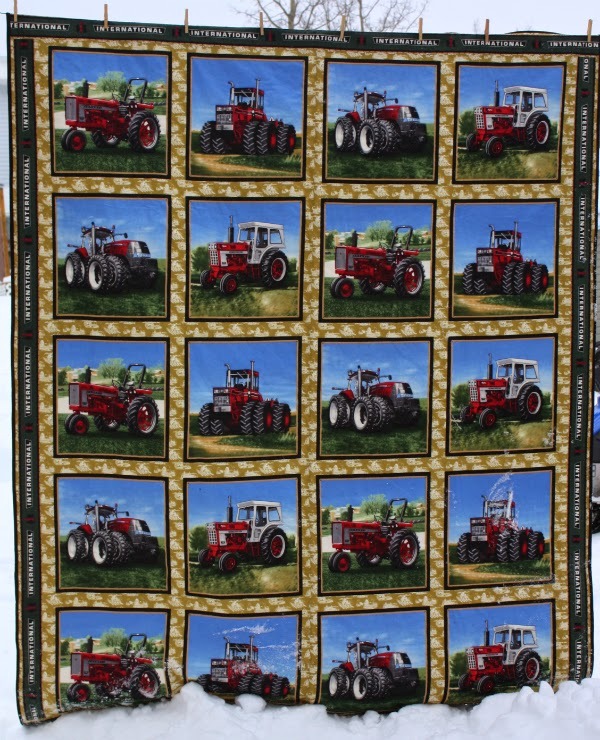 I usually like quite a lot of quilting, but this works to keep the focus on the tractors without distorting the pictures. Lucky son! 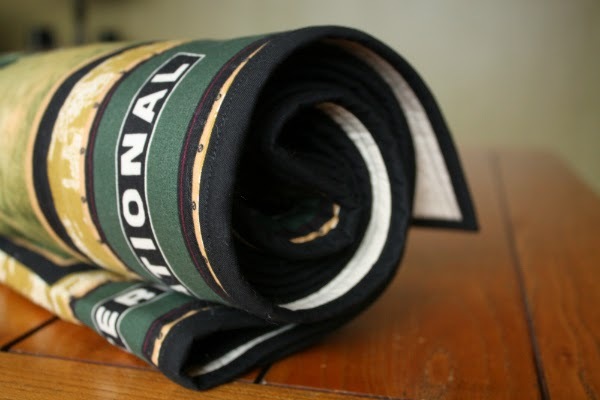 Very nice indeed - a great boys/man quilt! Congrats on the finish. I really love how it looks on the back. It was good to add the extra quilting. Congrats with your third finish, my grandson would be happy with this quilt!! I love it too. Love the outlines of the tractors on the solid backing. Good Job! Hopping over from NNT.